If you need single-sided, professional, color or monochrome cards printed on demand or in batches, the IDP Smart 50S Single-Sided ID Card Printer is an excellent option. Featuring edge-to-edge, single-sided printing with YMCKO ribbons, you can get high quality ID cards in 18 seconds. What makes the IDP Smart 50D Dual-Sided ID Card Printer a smart choice is the applications that help you issue high quality cards and manage your database at no extra cost. Smart Design lets you design and print images, photos, text, and more. It also offers auto face detection and size adjustment and positioning. Smart DB lets you manage your database and supports Open Database Connectivity. Security is one feature you don't want to skimp on. The IDP Smart 50D Dual-Sided ID Card Printer offers effective security features like access control, data encryption, and low-cost UV printing. Password verification function provides your administrator and user authentications for security, while data is encrypted during transmission. The IDP Smart 50S Single-Sided ID Card Printer supports SSL protocol on its ethernet communications. Finally, the optional encoding modules can be set for a specific authorized PC to eliminate the chance of unauthorized access. You can utilize a network printer server with your IDP Smart 50S Single-Sided ID Card Printer for both printing and encoding cards. The optional Smart Ethernet module prints cards and can encode magnetic stripes and contact / contactless smart cards through the network. The Smart Ethernet module uses Open Card Print protocol to encode and print cards through commands on multiple platforms without installing the print driver. Choose optional modules for magnetic stripe encoding or contact / contactless smart card encoding. You can also add the optional ethernet connection to streamline your printing process. 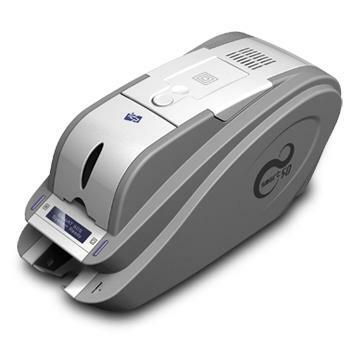 The IDP Smart 50S Single Sided ID Card Printer features a 3-year warranty on printer and 2-year warranty on printhead.